Undercover: Who's Policing Your Bank? 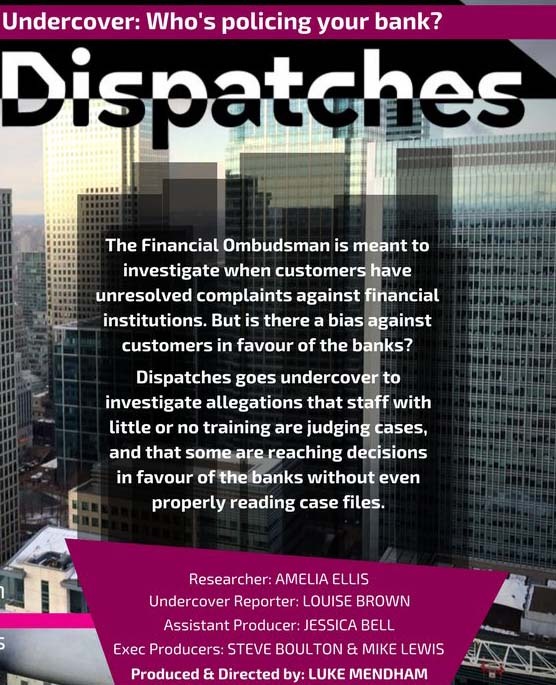 Does the Financial Ombudsman act in favour of banks and against their customers? Dispatches goes undercover to investigate.